I visited a local religious bookstore the other day on Guam. As I walked through the store, I found a book authored by David Hyles in their “Clearance” section called “THE OTHER SHORE” for only $2.99. I had never heard about the book, and at first thought it was written by Pastor Jack Hyles (1926-2001), because I instantly noticed his face on the book cover. But when I saw that the book was written by David Hyles, I was happy and elated to have found such a wealth of information! BECAUSE IT WAS AT the last moment, we were unable to get seats together on the airplane for the trip to Indiana to visit my dad in the hospital. My two daughters, Amy and Bethany, sat together in the middle of the plane while my wife Brenda and I sat in the front row of the coach section. Normally, I choose to sit by the aisle, but no aisle seats were available; so Brenda sat in the middle, and I sat by the window. It was an overcast day in Tampa—a stormy looking morning. Even in the darkness of the early hours, a person could see the clouds hovering above. It was the first flight that would leave Tampa on this morning. The airplane taxied out to the runway and then began to move slowly until accelerating more and more to the point where finally we lifted off the ground and into the air. Almost immediately upon takeoff, we were in the clouds. The plane was tossed about a bit to and fro in the turbulence of the morning skies. For several minutes, we continued to rise through the clouds. It was dark, stormy, and cloudy, not just outside, but also in my heart. I did not know what I was about to face, but I was filled with fear. I was not even certain that my dad was still alive. He lived his life just a little above the clouds of betrayal when those who had once called themselves friends turned their backs on him. He lived a little above the clouds of criticism and slander when people judged his heart, his motives, and his actions unjustly. He lived a little above the clouds of attacks by enemies who sought to destroy his prosperous ministry. He lived a little above the clouds of goodbyes as he parted from loved ones or loved ones parted from him. He lived a little above the clouds of death that had oft greeted him in his 74 years of life. He lived a little above the clouds of gossip, not only about himself, but also about others whom he loved. He lived a little above the clouds of hatred even though in his heart he was truly a lover, yet still managed to rise above those clouds of hatred and not allow those clouds to cover the sunshine in his heart. He lived a little above the clouds of false accusations by those who chose to make unscriptural accusations against him that were not true. He lived a little above the clouds of controversy that often swirled about him not because of something he had done wrong, but because of the principles by which he lived so carefully. He lived a little above the clouds of loneliness as he walked through many airports and slept alone in many hotels, trying to do what he could for God. He lived a little above the clouds of weariness as he worked tirelessly to help others. He lived a little above the clouds of separation as he spent so many nights away from the love of his life, his own wife. He lived a little above the clouds of pain and sickness as for years he managed to overcome the pain that was more excruciating than any of us knew as he continued to do the work that God had sent him to do. He lived a little above the clouds of doubt and fear while others trembled from circumstances. He refused to allow circumstances to draw him under the cloud. He lived a little above the clouds of disappointments from people who simply let him down. He lived a little above the clouds of injustice that often surfaced against him by preachers as well as former church members who chose to act as judge and jury. These clouds could not cast a shadow on him because he walked above them, not below them. The rain they sent fell to where only his shadow stood because he stood above these clouds. Their winds blew where he should have walked, but their winds could not have hit him for he walked above the clouds. Where the darkness covered the earth below, he was seeing the sunshine above! The clouds were not his ceiling but his carpeting; they were not his sky but his footstool. The clouds did not cover his light but cushioned his feet. These clouds did not hover ominously about him but lay innocently below him. They were not stormy burdens but ways of peace. So how did he help so many who were overcome by clouds? This perhaps was the greatness of Jack Hyles; he did not come down under their clouds to encourage them; he lifted them up above to where he walked above the clouds. Preachers brought Jack Hyles to their churches to preach, not so that he could walk with them under their clouds, but so he could lift them and their churches above the clouds that had hovered above their churches and ministries. When he walked into the pulpit of First Baptist Church of Hammond, he somehow managed to lift thousands above the clouds so they could see the sunshine. The lines of people who stood outside his office for counseling often did not come in order to figure out how to find an umbrella for the rain in their lives, but rather to find a journey above the rain and above the clouds. Somehow, though the clouds constantly tried to hover above him, he always managed to climb a ladder of belief and faith to a place above the clouds where he could see the sun rather than feel the storm. In March of 1999, a monsoon came into his life. In one day, he discovered that he had a heart disease; and on that same day, my son, his grandson, and his namesake, Jack David Hyles, died. The thick, dark clouds, more menacing perhaps than any that had ever come into his life, gathered in his way. How could he go on? There was only one way. He had to do what he had done for all of those many years; he had to climb the stairway of faith again and walk above those menacing clouds. How could he be so sick and yet go on? He was walking just a little above the clouds. How could he lose his grandson and go on? He was walking just a little above the clouds. It is interesting to me that on the day of his viewing, the day where thousands would walk by and see his body lying in state in the First Baptist Church of Hammond, Indiana, it was a cloudy, gloomy, stormy day. Death had cast its shadow over all of us. I felt a sense of gloom that day as the clouds took away our sunshine. Saturday morning, the day of his funeral, the day the casket would be placed into the crypt, I awoke and looked out the window of our hotel room; and there were no clouds in the sky—only the beautiful sunshine. There was a mourning group of Christians across the country and the world, a mourning church, and a mourning family. I believe that somehow from Heaven, with God's permission, Dad was lifting up the clouds that had so covered them for several days to where we could see the sun shine once again. As he lay in the hospital, the clouds of death hovered above him, but once again the clouds failed to land a shadow on their intended target. 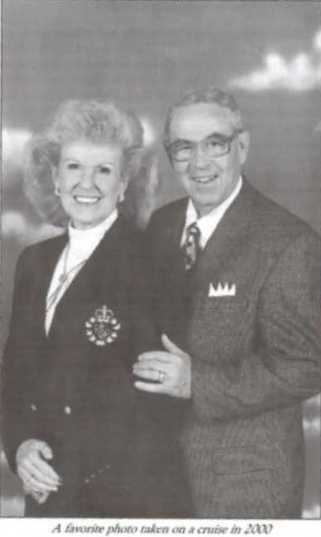 For somewhere far above the clouds, Dr. Jack Hyles was running down the streets of gold with his little grandson, Jack David, on his shoulders--just being a grandpa. SOURCE: David Hyles, “THE OTHER SHORE,” pages 15-20; ©2001, Jack Hyles Press; ISBN 097112270-9. Bravo! My heart was encouraged after reading the preceding beautiful truth by Dave Hyles. I don't think anyone could have summed up Brother Hyles' life better than his own beloved son did. You're Exactly Like Satan When You Accuse Others! I always feel compelled to speak a word in defense, not of Dave Hyles' sins and mistakes, but in defense of the accused. Please hear me out dear reader. The name “Satan” means “The Accuser”! Revelation 12:10, “And I heard a loud voice saying in heaven, Now is come salvation, and strength, and the kingdom of our God, and the power of his Christ: for the accuser of our brethren is cast down, which accused them before our God day and night.” That sounds like the evil manure-spreading newsmedia! All across America, local newspapers destroy lives by publishing accusations against people! It doesn't matter if the accusations are true or false, they are damaging! I am sure that most of the accusations made by the Devil to God about believers are true! Carefully notice that Satan doesn't accuse the unsaved, the Holy Bible says the Devil accuses “THE BRETHREN” (Christians). Pastor Jack Hyles was a righteous man, who stood like no other preacher against sin and evil in America, and for that very reason he has been relentlessly attacked like no other preacher! Dr. Hyles took a strong stand against the shallow ecumenical crowd, with their counterfeit Bible versions, sycophantic worship, worldly standards, and lack of soulwinning in their churches. For these things, Pastor Hyles was hated by the new evangelical crowd. Consequently, Dr. Jack Hyles' family has been unfairly persecuted. As one of my favorite preachers (Pastor Danny Castle) said, “God pity the preacher that the world don't hate!” 2nd Timothy 3:12, “Yea, and all that will live godly in Christ Jesus shall suffer persecution.” Are you being persecuted for your Christian faith? I sure am! I tell you of a truth, there is not a more ungodly, unjust, dishonest, crooked, misinformative, skewed, rotten group in America than the newsmedia. I cannot help but laugh when people in the media accuse Dr. Hyles of financial impropriety. If they only knew the truth, how generous Pastor Hyles was. God only knows how many struggling widows that Brother Hyles helped. God only knows how many struggling church members and students who were helped financially by Dr. Hyles. I heard Dr. Hyles mention in a sermon that he got stuck paying $15,000 in defaulted loans, from church members that he willingly cosigned for. Brother Hyles paid the money, and let the debts go, never mentioning it again to the people who did him wrong. Would your pastor cosign for you? I doubt it. I wouldn't. Dr. Hyles couldn't help everybody, but he tried. Brother Hyles was commonly known for consistent random acts of kindness. That's a good man! That is why we read the precious words in Romans 8:34, “Who is he that condemneth? It is Christ that died, yea rather, that is risen again, who is even at the right hand of God, who also maketh intercession for us.” Isn't that beautiful? Who has the power to condemn a saved person? The obvious answer is NO ONE! If you are a redeemed child of God, you appear as righteous as the Lord Himself in the Father's eyes. Even if the whole world condemns a Christian, and that person is rotting in prison for the rest of their natural life for a crime they've committed, if they are a redeemed child of God THEY ARE NOT CONDEMNED! Why? It is because Jesus paid the penalty (price) for our sins with His precious blood, which was shed on the cross and sprinkled upon the heavenly Mercy Seat in the presence of God the Father (Hebrews 9:12, 22-24; 12:24)! This is the imputed righteousness of God, which is through faith in the Good News of the Lord Jesus Christ. Thank God for the precious blood of Jesus that washed all our sins away!!!!!! !